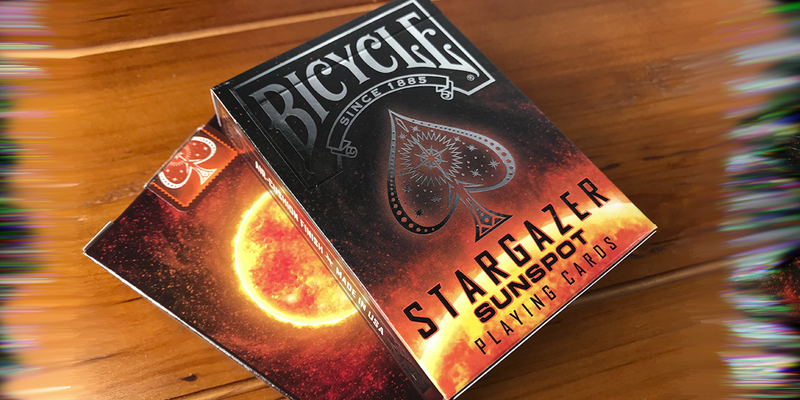 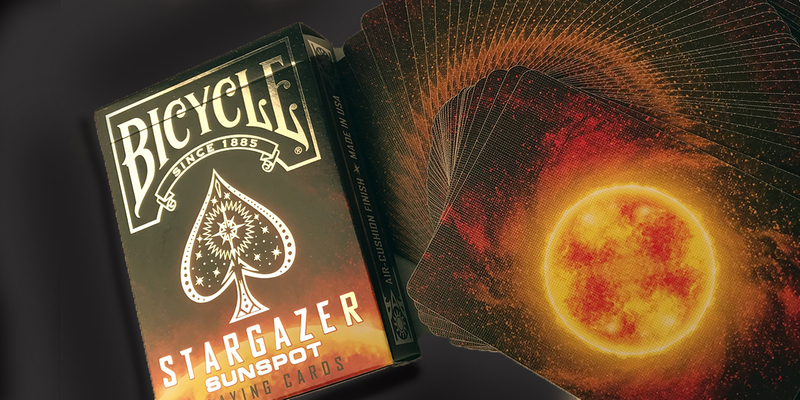 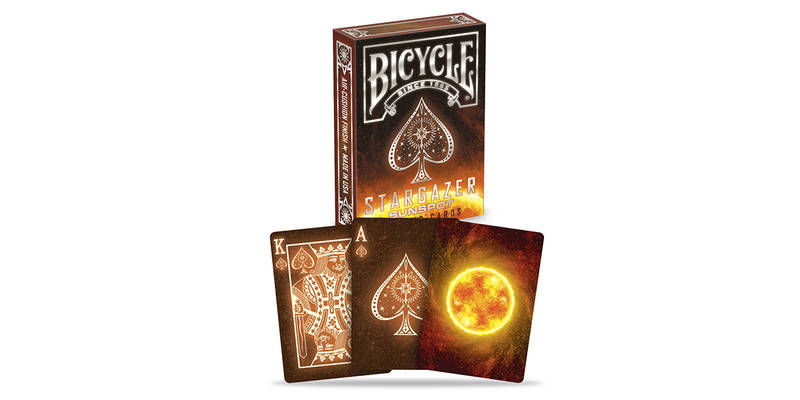 Bicycle ® playing cards Stargazer Sun Spot features the vibrant colors of the star at the center of our solar system known as the Sun. 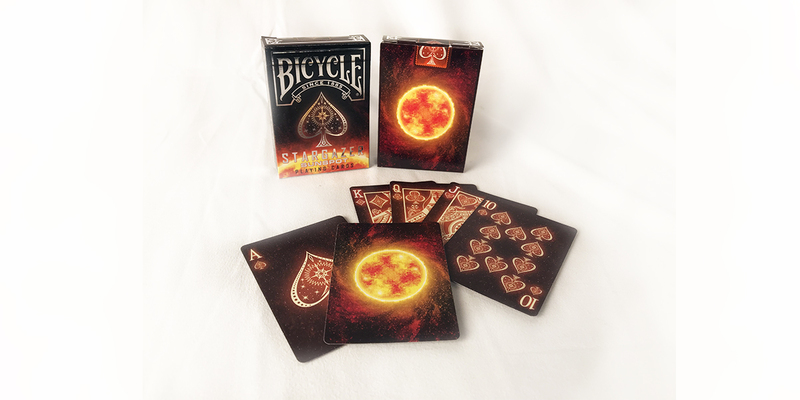 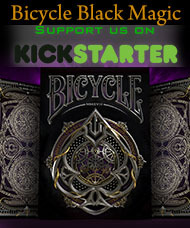 The card back design with a burst of yellow and ?re will be sure to delight. 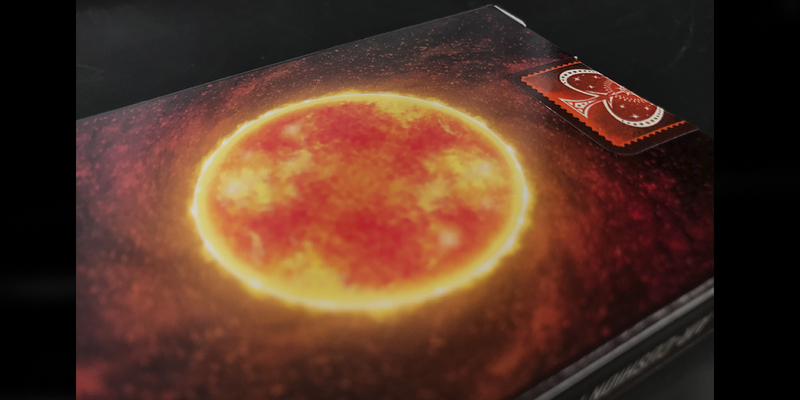 The tuck box brings the vibrancy of the sun to life with re?ective silver foil.